Since starting my blog I've become more and more interested in skincare. Long gone are the days of using face wipes to remove my makeup and a slap of moisturiser now and again. Gosh, just writing that makes me realise how terrible my skincare routine (if you can even call it that) was. I now take the time to thoroughly understand my skin and treat it to what it needs. Whether its face oils, micellar waters or face masks - I now use them all to ensure my skin is in the best condition it can be. 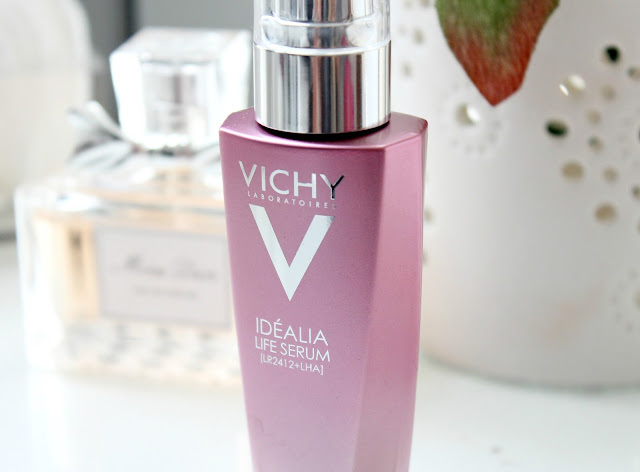 When I was first introduced to this 'life serum' from Vichy, it instantly excited me. 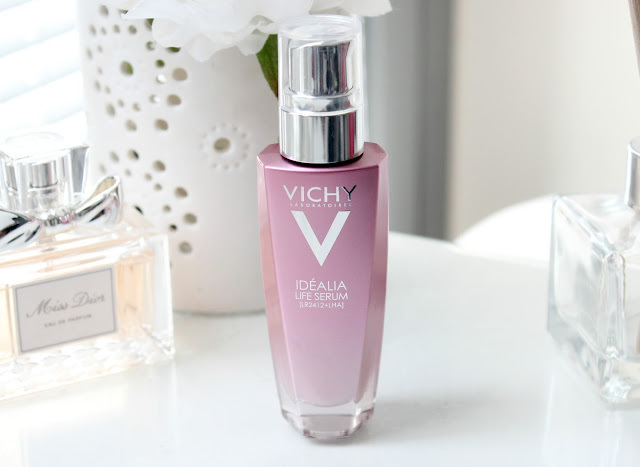 I've tried a number of products from the Vichy Idealia range now including their illuminating moisturiser and BB Cream - both of which are amazing products and work really well with my skin. The latest product to join the Idealia line up, 'Life Serum', is designed for the everyday woman, us women that often expose our skin to daily excesses such as stress, late nights, pollution, UV exposure and an unbalanced diet. I'm sure we can all relate to one of these 'exposures' in one way or another, the main culprit for me being stress. When I'm stressed my skin is more prone to breakouts and generally looks dull and lacking in life. However, this serum claims to restore tired, stressed and lack-lustre skin. According to Vichy this product ensures the "complexion looks radiant and fresh, with a more even tone. Pores appear tightened and skin texture feels refined. 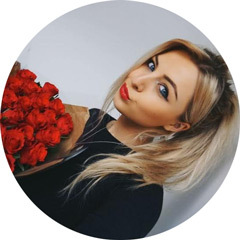 Facial features look rested and skin looks younger and healthier". Fairly big claims if I do say so myself. The magic ingredients in this product are the LR2412+LHA molecules (I have no idea what they are, don't talk to me about science) which supposedly work wonders at transforming skin quality. Its also suitable for those of us with sensitive skin as its hypoallergenic, parabin -free and contains soothing thermal water. So, do I like it? Well, do you ever come across a skincare product and as soon as you start using it think 'how did I ever NOT use this product'? That is exactly how I feel about this serum. Firstly, look at that beautiful glass bottle. Its pink with a handy little pump - what more could I want? Secondly, like all products in the Idealia range, it smells divine. I've been applying it in the morning after cleansing my skin and I love how lightweight and silky it feels. Its a white lotion with a pearl sheen (it looks more like a moisturiser than a serum) and as soon as its applied to my skin it sinks in effortlessly leaving no greasy residue behind. 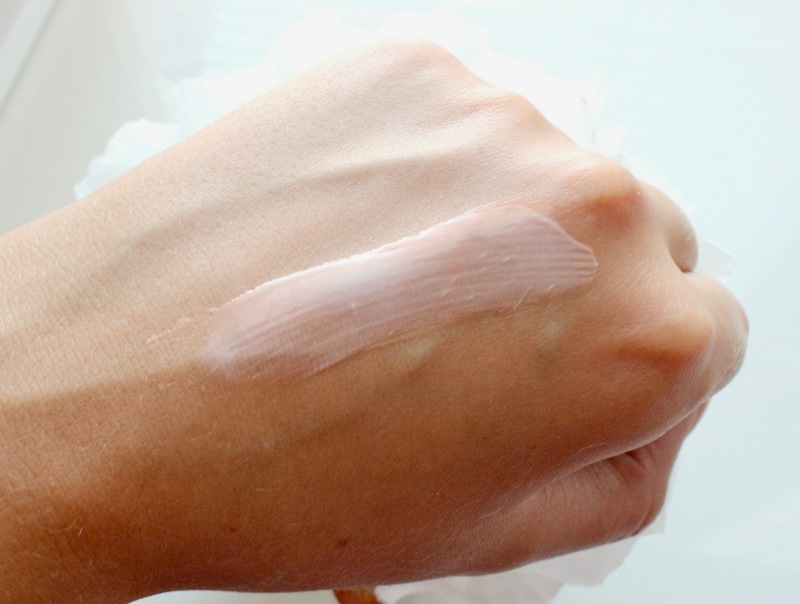 It also brightens my tired morning skin and leaves it looking awake, dewy and fresh. Its like the beauty product equivalent of caffeine! 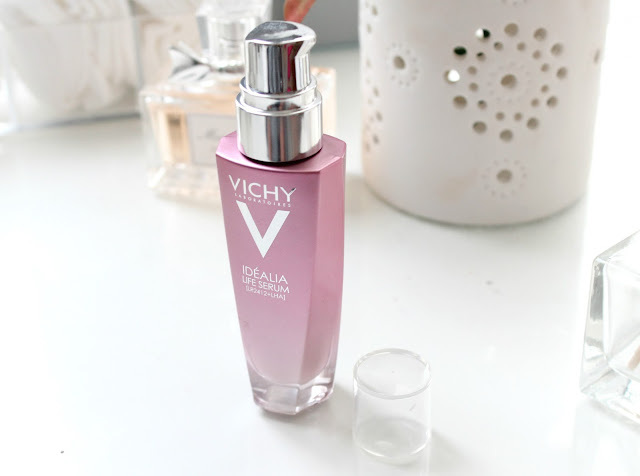 Vichy state that this can be used alone to replace moisturiser or underneath your current moisturiser, depending on how dehydrated your skin is. For reference, my skin is combination. It isn't dry but it isn't very oily either. I get an oily t-zone and the odd pimple now and again but other than that, I'd say its fairly normal. I find using this after cleansing in a morning is all I need to give my skin a boost of radiance and moisture but I have used it underneath moisturiser too so I can assure you it works both ways, depending on your skin type and personal needs. I also find it works really well as a base for makeup as it seems to smooth out my skin tone, reduce any redness and plump up my skin. I've definitely noticed my base applies much smoother and evenly after applying this product and my skin feels baby soft. Overall I absolutely love this product and its an amazing addition to my skincare routine. I've definitely noticed an improvement in the texture and appearance of my skin since adding this into my routine and i smells amazing too so I've got no complaints. There's currently 25% off this product at Boots so if it sounds like something you'd like to try, go go go! Do you like using serums? Have you tried this one? 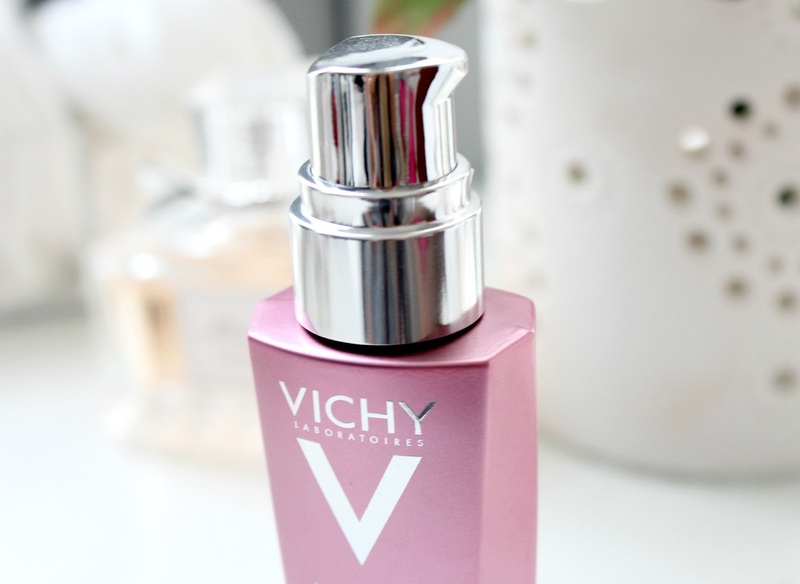 I'm a HUGE Vichy fan! I'm getting this once I've been paid. Great review! This does look like a beautiful product but I'm worried I keep putting too many skincare things on my face! I may have to get this and switch my hole skincare routine around! I have this it's gorgeous, and I thought the same as you "how have I not tried this before?! " it does smell gorgeous too, I use this beauty daily now. I have seen a few reviews on this product and im so tempted to get my hands on it! I reeeally need to get into skin products a bit more - this sounds fab! Sounds like a great serum. I've only recently started introducing serums into my skincare routine, really want to give this one a try. Hi there! Sounds nice, but I was wondering about the ingredients list. Would you terribly mind writing at least the first ten ingredients so I can figure out if this product will work for me? You can write me at lola.avini@yahoo.com if you don't want to here. Thanks for great tips!! Your article is really awesome. I'm always using Sakare's Botanox Serum. It's helps to keep my skin fresher, younger and brighter.